Girl Kuripot Girl Kuripot: Regatta! Escape to Luxury, Win a Trip to Shangri-La Mactan! Regatta! Escape to Luxury, Win a Trip to Shangri-La Mactan! This is a chance to win one of two 3D2N trips for 3 to Mactan, inclusive of airfare, accommodation in Shangri-la Mactan, meals and transfers with Regatta! Every P1000 single-receipt purchase of regular Regatta items entitles you to an entry. You have to submit your receipt details online with your details and the names of the two people you want to go with. 20 other winners will win P2000 GCs each. The promo period is April 13, 2012 to May 6, 2012. You have until May 6, 2012 to submit your entries online! Don't forget to try out CNT Cebu Lechon when you get there! You might over-enjoy just staying within Shangri-La Mactan with the beach and all. Haha. 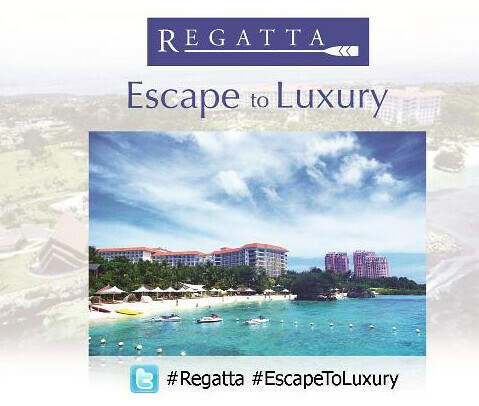 Click here to join the Regatta Escape to Luxury Promo.